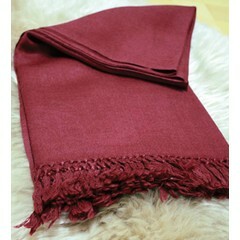 A Yoga and meditation blanket is one of the most versatile yoga articles. You can use the blanket to sit on. But folded or rolled up you can also use the blanket as a meditation cushion or as support for your head, knees and lower back. Ideal for during yoga exercises. During various meditations you often sit still so you can cool off. What could be better than to wrap a lovely fine woolen or cotton blanket around you? These meditation blankets are ideal for your yoga and meditation practice.